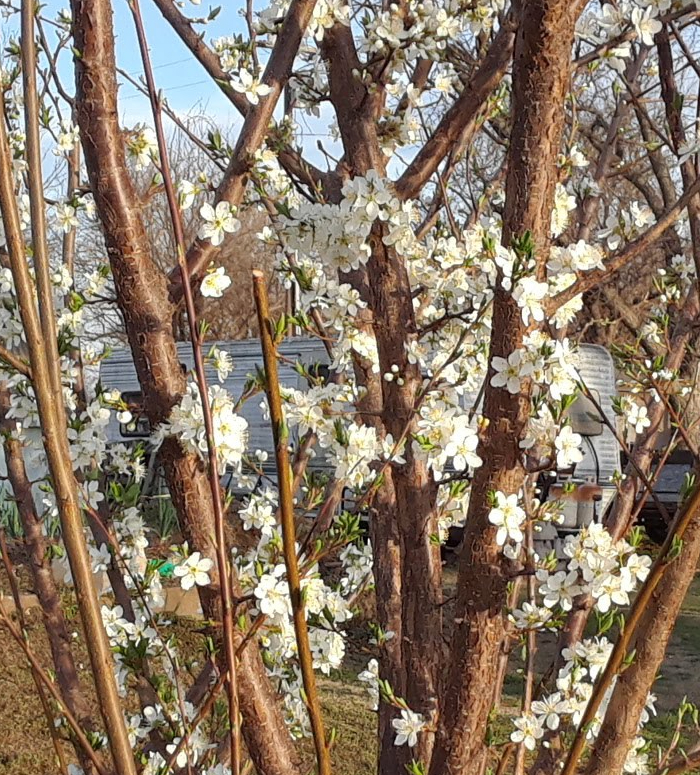 Two days ago, my mom’s peach tree and plum tree were both just starting to bud, and today they are full of flowers. I love the colors, as do the bees that were buzzing around the trees. I hope I get to see the next stage of growth, and that it’s not thwarted by a freeze, which is what we may get tomorrow night. Today it got up to 75. Talk about fruity weather.